Premium quality hoof oil, containing all natural oils and Stockholm Tar to aid hoof health and shine. Regular application of Kentucky Hoof Oil improves hoof strength, quality and growth and keeps the hoof wall, sole and heel supple and healthy. 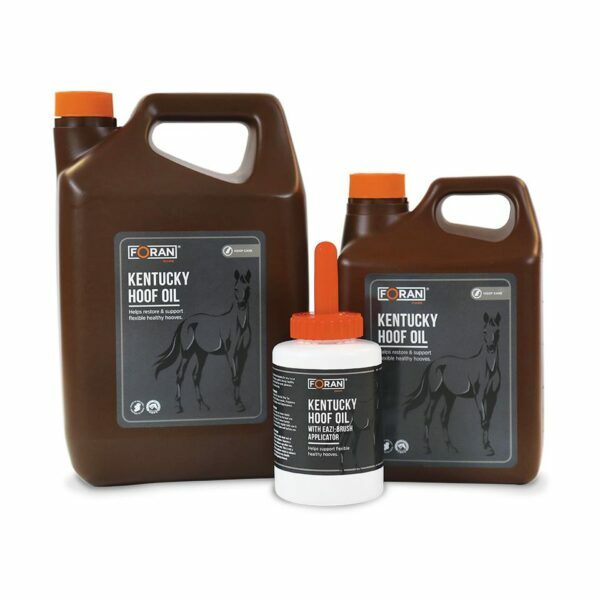 Kentucky Hoof Oil also available as Eazi Brush Hoof Oil, a convenient brush can for ease of transport and application. Kentucky Hoof Oil can be applied to hooves directly using the soft bristle brush supplied.